Firefighters have tackled a “well developed” blaze in an Aberdeen flat. Five crews from the Scottish Fire and Rescue Service (SFRS) were at the scene on St Clair Street in the early hours of this morning. It is understood that no one was injured in the fire, but three casualties were taken to hospital for further assessment. 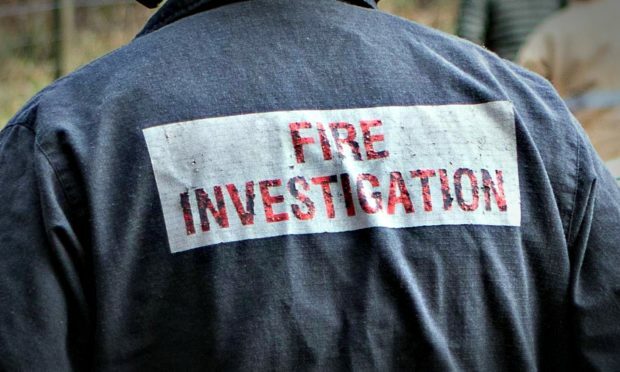 A Scottish Fire and Rescue Service spokeswoman said: “The Scottish Fire and Rescue Service was alerted at 3.04am to reports of a flat fire in Aberdeen. “Operations control mobilised five fire engines to the city’s St Clair Street, where fire fighters were met by a well developed situation in a basement property. “They located the fire and worked to extinguish the blaze amid difficult conditions. “Two casualties were led to safety by fire fighters before being transferred into the care of Scottish Ambulance staff. “Three other residents were self-evacuated. Three of the five people were taken to ARI for further assessment.